learning experience designed for the way today's students read, think, and learn. Enlivening course content with media interactives and assessments, REVEL empowers educators to increase engagement with the course, and to better connect with students.NOTE: REVEL is a fully digital delivery of Pearson content. This ISBN is for the standalone REVEL access card. 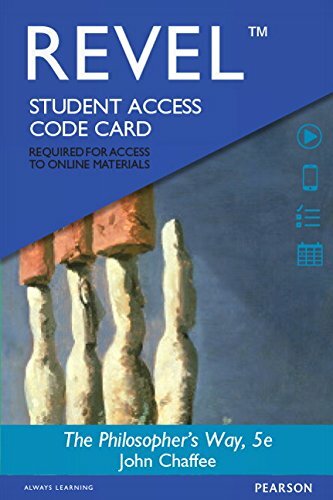 In addition to this access card, you will need a course invite link, provided by your instructor, to register for and use REVEL.